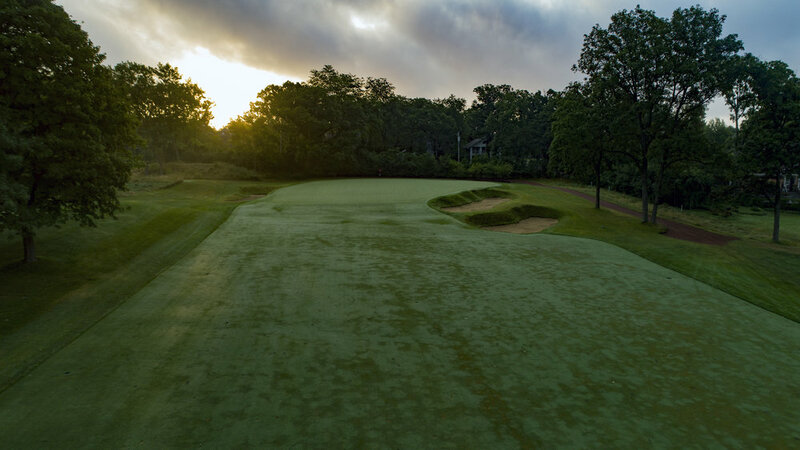 Let’s get up before dawn to arrive at a world-class golf course at sunrise...without clubs. Bright ideas like this one are common at The Fried Egg, and they often result in special experiences. In our new Field Report series, we’ll share our stories with you. We hope to hear from you about your exploration and discoveries too. The 18th, 17th, 1st and 10th holes at Skokie C.C. Use slider to see the directional lines of play and the colored version of Tyler's plan. Creatively designed spaces like Skokie’s short course are popping up everywhere. They are fun for architects to design and build, and even more fun for players to play. Imagination is unleashed across the board when the bounds of 18-hole, par 72 golf are removed. Stay tuned for more coverage of this trend - we’re all in on shorties. The new short course at Skokie C.C. under construction. Having multiple architectural styles runs the risk of making a course feel disjointed. That is not the case at Skokie. The Bendelow hole, Ross’s ten holes, and Langford’s seven holes have distinct feels, but they flow together nicely, and they all share one common feature - bold greens. Oh my, the greens! A set as good as any in Chicago, with the exception perhaps of Chicago Golf Club. The greens act as an anchor that allows the tee-to-green variety to be interesting and additive, rather than confusing. Another aspect of Skokie’s design that’s fascinating is the routing and its variety. Golfers only play the same par consecutively once, the par-4 14th and 15th. Without a doubt, Skokie CC is one of those places worthy of an early wake-up call, and it just keeps getting better.